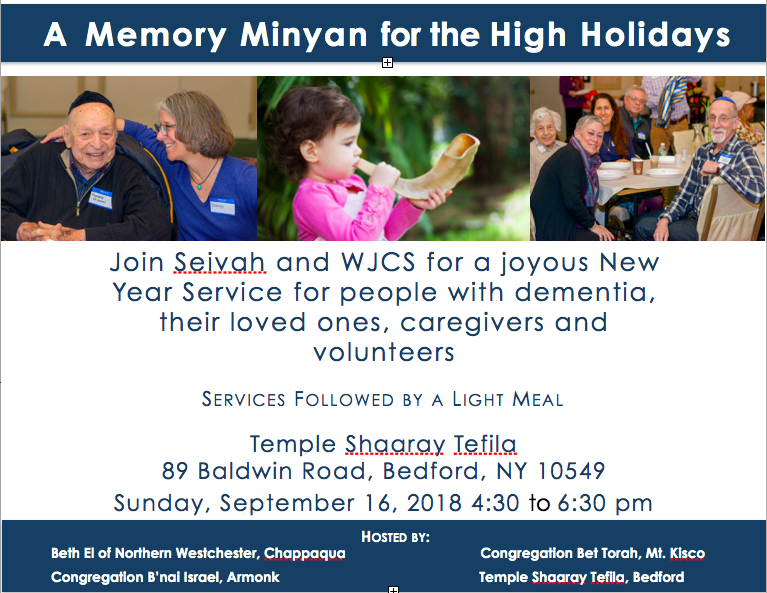 Seivah is proud to partner with WJCS on this, the first Memory Minyan in Northern Westchester. Our brief but soulful prayer service will be accessible to anyone, with the melodies which were most popular in mid-century American synagogues. The service will be followed by a light dinner, provided by the generosity or a congregant at our host location, Temple Shaaray Tefila in Bedford. Come with your loved one with dementia.